If you were seriously injured in a Florida Instacart accident, you need to talk to a Florida car accident attorney. Even if the accident happened through no fault of yours, it might prove very hard to recover damages due to the lack of commercial insurance coverage for Instacart drivers. Furthermore, you will need to navigate the complex and confusing issues of insurance coverage if you hope to have a chance at recovering any damages. That is why you should speak with a Florida personal injury lawyer as quickly as possible. To get the answers that you need, call our Florida Instacart serious injury lawyers at the Wolfson Law Firm for advice. We have experience in recovering damages for car accidents since 1963, but we also keep a close eye on the app-based businesses and how they operate in the legal context. It is a fact that technology changes the business environment very quickly and the law doesn’t always follow as quickly, hence it is necessary to monitor it closely and analyze continuously. Tell us about your Instacart injury and let's see what's the best way to pursue recovery for your harms and losses. During these free consultations, we will present you with your options, and you'll know what comes next. We won't ask for fees. We charge fees only when we recover compensation for our clients. By law, when someone causes an auto accident, he or she is responsible to pay for the damages incurred. This may include but not limited to lost income, medical costs, medical devices costs, pain and suffering, and other costs depending on the sustained injuries. 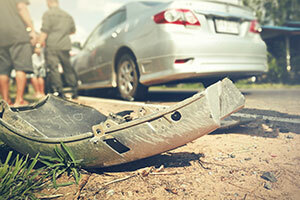 When the accident is covered by insurance, you are assured of a responsible party with an ability to pay. But, if the driver is not insured or is underinsured, things become complicated for the person who waits for the compensation payout. That's the problem with Instacart driver insurance. They will take your groceries home for you, but if someone gets injured on their way due to their mistake, they'll realize that Instacart doesn't cover drivers. Moreover, if the driver has no ridesharing driver insurance, the person injured at the accident has no other option but to rely on his own uninsured motorist insurance. If you don't have UM insurance, you may be left with all the bills and no way to recover your damages. That is why it is imperative that you contact a Florida accident lawyer to understand if you can be compensated for your damages. Tell us about the circumstances of your case, and we will tell you what your options are. Just don't do this alone, because the situation is very complicated already. We don't ask for fees until we recover damages for our clients. Our Florida accident lawyers are available to help injury victims throughout Florida including but not limited to Fort Myers, Miami, Lehigh Acres, Fort Lauderdale, Cape Coral, Golden Gate, West Palm Beach, Orlando, Sarasota, Naples, Tampa, Jacksonville, Gainesville and Tallahassee.